We’ll let Lyla Warren tell it herself: ” Recently relocated to Portland (from San Francisco via Denver) Lyla Warren is a self-taught freelance artist. Her education was forged by late nights in the halls of the animation industry and by wonderful mentors. Through her career, she’s worked for a variety of clients such as Disney, Cartoon Network, Sony, Mattel, Zynga, Laika, and Leap Frog, to name a few. 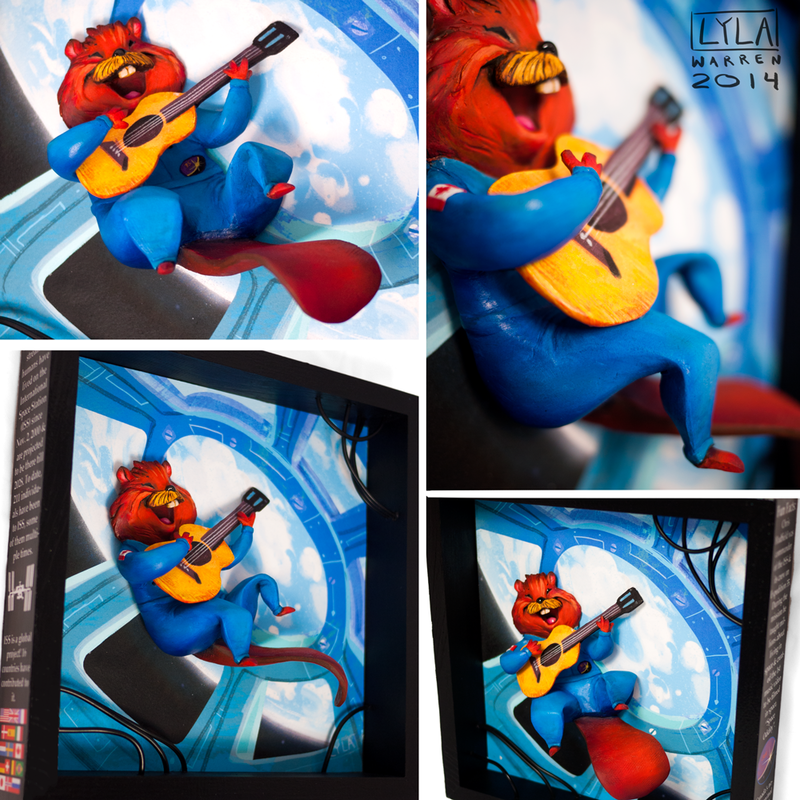 These days she is focused on sculpture, character design and personal art work.” And what sculpture! Her leaping-out-of-the frame 3D pictures of various Disney and Pixar characters have been featured at the Disneyland Wonderground Gallery, and her other works have drawn from many sources. She even found time to create her own 2D animated short film, Beaver vs. Platypus, as well as shorts for the Happy Tree Friends series. Take a look at her web site to see all that and more.